The Game Gear top ten is rather interesting, as it’s largely filled with ports from other systems. That’s not to say you shouldn’t collect for the tiny handheld however, and if you do decide to take the plunge, you’ll discover the following releases to be essential purchases. Now this is very impressive. It’s obviously cut down when compared to the Mega Drive original, but this adaptation of Treasure’s superb run-and-gunner is still utterly brilliant and is a must own for anyone with a love of Sega’s bulky handheld. Incredibly fast paced and with some gob-smackingly good visuals, Gunstar Heroes shrinks down admirably well to the Game Gear’s tiny screen and offers an amazing amount of pyrotechnical wizardry. Gameplay is as intricate and as varied as ever, and it’s further proof that Treasure is one of the most talented developers around. 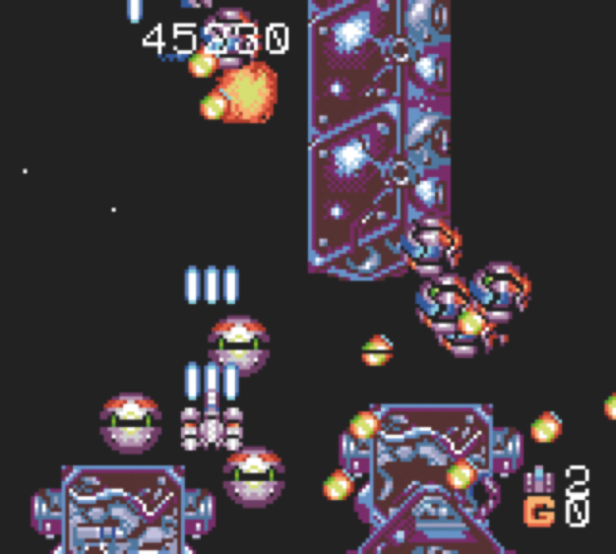 Gunstar is extremely hard to get hold of now, so expect to pay a pretty penny for it. While Columns is the Game Gear puzzler that most gamers have probably heard of, it’s the excellent Baku Baku Animal that deserves all the recognition. Originally released in 1995, Baku Baku Animal plays like a cross between Tetris and Puyo Puyo and sees you stacking up a variety of different food stuffs until the required animal comes along and clears the lot, thus setting up potential chain reactions and the possibility of huge scores. Instantly accessible and yet impossible to put down, Baku Baku Animal is one of the best puzzlers around and is perfectly suited to the Game Gear’s “on the go” nature. Wonder Boy, like many other Game Gear titles, is basically a port of the Master System original. This should not put you off however, as The Dragon’s Trap was one of the best games to appear on the 8-bit machine. The Dragon’s Trap is a huge, sprawling adventure that sees the poor lad having to change into a variety of different animals after being cursed by the game’s imposing dragons. It’s going to cost you a fortune in batteries, but if you’re looking for a solid arcade adventure, you really won’t find anything finer. Quite simply one of the Game Gear’s finest moments. Even if it is just a port. While some gamers were less than happy with Sonic 2’s lack of difficulty there can be no denying that it’s a highly polished title that deserves its place in this month’s top ten. Featuring bold, bright visuals, a great sensation of speed and some faithfully reproduced tunes, Sonic 2 is a wonderful adaptation of the original Master System and Mega Drive titles that plays to the strengths of its host machine and ends up working exceptionally well on the Game Gear’s miniature screen. There’s a fair amount of blurring that will no doubt spoil the experience for some, but old technology can’t disguise the sheer amount of shine that lies beneath. Taito’s Bubble Bobble must be one of the most ported games in history, but when you consider how good it is, it’s unsurprising that so many platforms have featured a version of it. Based on the Master System port (which was in itself a rather brilliant conversion) this Game Gear effort perfectly captures the charm of the arcade original and is another essential release for Sega’s portable console. There’s a cracking two-player mode, although you’ll need the required link-up cable and a second copy of the game. The graphics are as cute as previous versions, and the timeless gameplay is as strong as ever. One of the best platformers ever made. There are very few beat-’em-ups available on the Game Gear, but even if there were a hundred to choose from, it’s doubtful that they’d match the quality of Sega’s Streets Of Rage. From its meticulously created sprites, to the exhilarating combat, Streets Of Rage 2 is a fantastic re-creation of the Mega Drive original and proves that the Game Gear is more than capable of hosting a strong fighter. The music sadly lacks the polish of the original Mega Drive hit, but when you consider the technical limitations of the machine, this is hardly surprising. Just console yourself with a great fighter that plays as good as it looks. While the original Power Strike (or GG Aleste as it’s known in Japan) was never released in the UK, the far superior sequel did make it here, and, as was typical of developer Compile, it was another excellent shooter. While it features similar gameplay to the Master System outing, visually it’s been massively enhanced and boasts some great looking sprites and awesome bosses, that are as ugly, as they are tough. With its mech theme, over-the-top explosions and hectic gameplay, Power Strike 2 remains one of the best blasters on Sega’s machine and instantly makes us forget about the gaming atrocities that were G: LOC and Halley Wars. Like Taito’s Bubble Bobble, Prince Of Persia seems to be another title that’s been ported to practically every console and computer known to man. Based on the Master System outing, this is nevertheless a stunning conversion that features amazingly convincing animation, slightly more responsive controls and some simple, yet very effective visuals. Experts will obviously be expected to whizz through the game in under an hour, but POP has been put together with so much care and attention that you’ll be more than happy to just languidly stroll around and drink in the superb level design while admiring the Prince’s natty choice of clothing. On the one hand you could feel rather cheated by Sword of Hajya. Mainly because it’s little more than a direct port of the second story that appeared on the Mega CD’s Shining Force CD. On the other hand it’s the best RPG on the system to have received a Western translation, so if you’re a fan of the genre you really have precious little choice. It may look simple, and the bland backdrops and generic looking characters are certainly nothing to write home about, but with Shining Force II it’s all about the story and the turn-based combat, both of which remain as good as on any other Shining Force adventure.